Nominated for a DAME design award at METS 2009! N2KBuilder® software is a powerful, free PC-based tool for designing and verifying the integrity of NMEA 2000® networks. 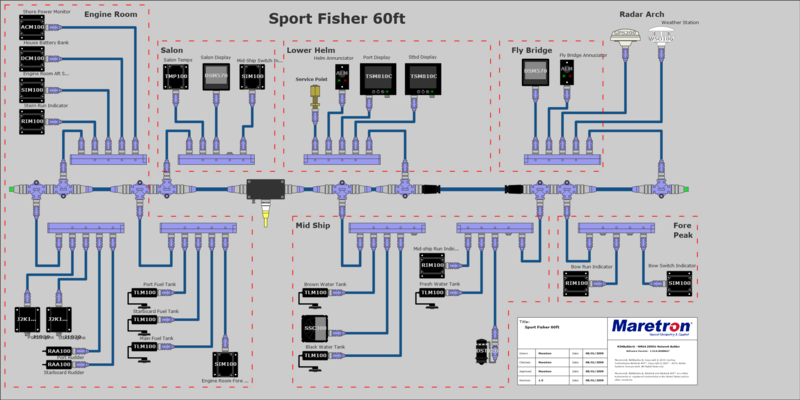 N2KBuilder® software, when installed on a Windows PC and used as part of an integrated design workflow can be used to plan, document, and validate the design of complex NMEA 2000® networks. In addition, N2KBuilder® will directly produce a Bill of Materials (BOM) for Maretron® products, eliminating guesswork and transcription errors. Produce network configuration table which matches N2KAnalyzer® format. Analyze the network layout for compliance to NMEA 2000® standards. Assign device and data instance numbers.